Both McDonalds and Five Guys Burgers and Fries compete on a daily basis to offer the public hamburgers and fries. In 2014, McDonald’s spent more than $988 million on advertising. 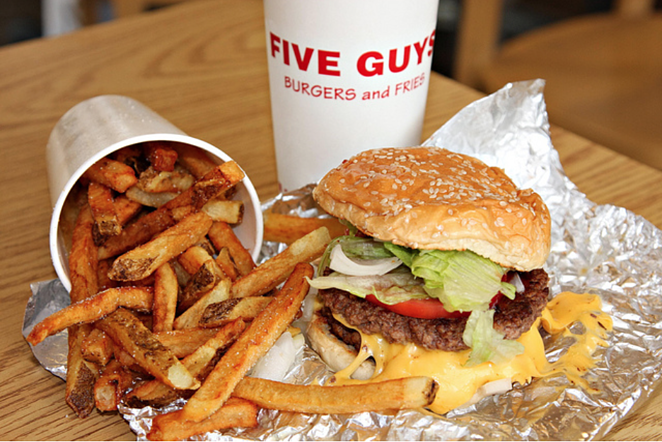 Five Guys Burgers and Fries, in the same year, spent exactly $0. Now consider that McDonald’s generates $25 billion in revenue annually and Five Guys does $1 billion. Five Guys, right? Are you surprised that it’s a $1 billion company? Five Guys inspires restaurant marketing directors everywhere because they focus on two things above all else: the product and the customer. That serves as inspiration because it prevents the restaurant marketing director from being viewed by management as a cost center. If profits are being plowed back into the company through product improvements and attention to the customer, they’re not going into the hands of advertising agencies. But you may find yourself soon working with a design marketing agency. And here’s what you should do when that happens. Find an agency that is committed to understanding your culture and doesn’t have its hand out looking for easy advertising work. You need a partner who will dig deep and really appreciate how much better your product is than the competition. A smart restaurant marketing director that works well with a solid marketing design agency will beat a big advertising budget almost every time. It’s all about activities over announcements. Commit yourself to understanding the difference between advertising and marketing. Picture it this way: advertising is someone standing on a street corner yelling “Lemonade for sale!” and marketing is someone walking up and down a street asking people how they like their lemonade, making it to their specifications and letting word of mouth take its course. Once you’ve got some momentum, you’re going to need to design some packaging materials and point of sale purchase offerings and come up with a great story to tell your loyal customers. And that’s where your marketing partner can help the most. By keeping your story consistently in front of your best customers instead of a “spray and pray” approach you can save a ton of money. We believe in helping restaurant marketing directors save money through smart marketing. Download this FREE Fill-in-the-Blanks Worksheeet today!